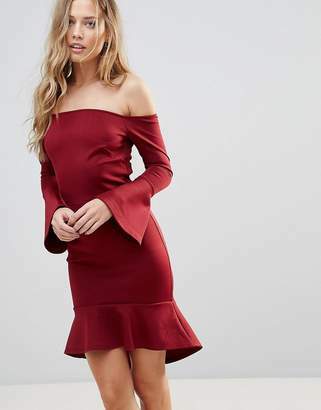 Red ribbed skater dress with long sleeves by Oh My Love. 95% Polyester, 5% Elastane. Machine wash.